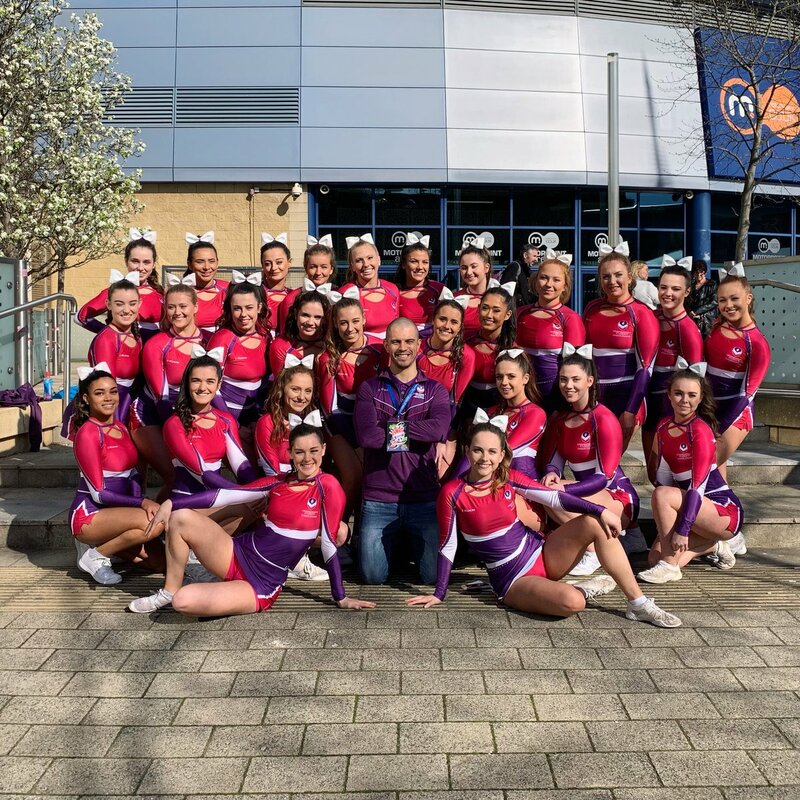 Loughborough Students' Cheerleading Club is made up of two competitive squads alongside a development team for beginners looking to get involved in the sport. The Club train multiple times during the week, working on stunts, tosses, dance, tumbles, flexibility and jumps. We are currently the reigning National Champions and Grand Champions, and are hoping to continue our incredible success throughout this next year. We were also named 'Club of the Year 2018'. Our trials consists of rotating in small groups around different stations performing various parts of cheerleading; tumble, jumps, dance and stretching. Welfare: Imogen Ogden, Course: English, Length of Cheering: 1 year, Favourite part of Cheerleading: All of the amazing people I have met through doing it! At training, socials and on tour! Media & Level 2 Coach: Georgia Mundy, Course: Graphic Communication and Illustration, Length of Cheering: 9 years, Favourite part of Cheerleading: The feeling you get when you finish your routine at competition and know you've given it your all! Development Coach: Jasmine O'Garro, Course: Ergonomics (Human Factors Design), Length of Cheering: 7 years cheering, 4 years coaching, Favourite part of Cheerleading: The bond that you build with your team mates through training and competing together! 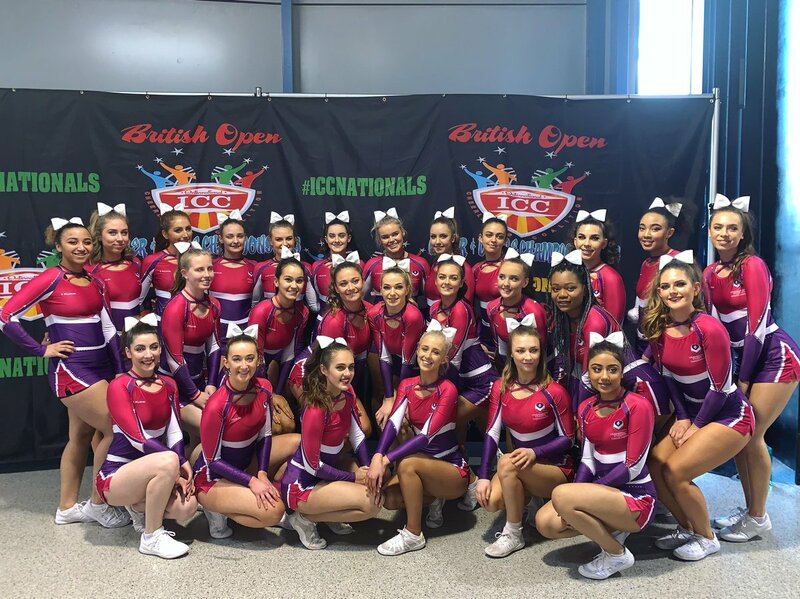 Development Coach: Izzy Snead, Course: Sport and Exercise Science, Length of Cheering: 1 year, Favourite part of Cheerleading: Meeting lots of people and being part of the lboro cheer team! Fitness Coach: Ali Hancock, Course: Business, Economics and Finance, Length of Cheering: 3 years, Favourite part of Cheerleading: All the memories you get to make each year from the opportunities cheer provides!